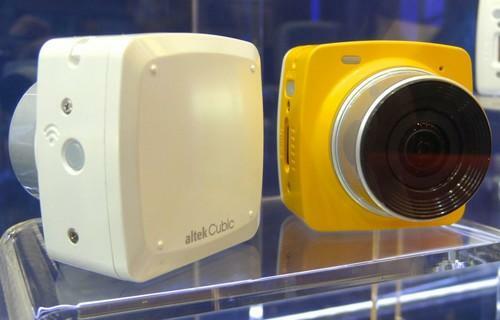 Shown off at Computex 2015 in Taipei June 3, the Cubic Live camera from Taiwan's Altek can stream live video to YouTube. It will be priced around US$130. If you aren't a big fan of flying drones, consider that more and more of them will likely be streaming live high-definition video to YouTube. Taiwan's Altek is demonstrating a low-cost, lightweight compact camera that can ride on a drone, dashboard or bicycle while sending real-time imagery to the video-sharing service. The Cubic Live weighs 70 grams and easily fits in the palm of your hand. It's got a 150-degree wide-angle lens, 16-megapixel CMOS sensor and can shoot full HD video at 1080p with 30 frames per second. The camera has a noise-cancellation chip to reduce the hum from drones. 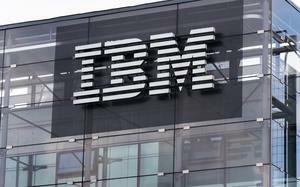 It can connect with Android and iOS mobile devices via dual-band Wi-Fi. The 940 mAh battery can last about 90 minutes when continuously shooting FHD video, or taking up to 1,000 photos. At a demonstration Wednesday at Computex 2015 in Taipei, Altek staffers flew a DJI Phantom 2 drone with the camera on board. The drone itself was operated with its remote-control unit, while the Cubic camera was controlled via a linked smartphone. Meanwhile, the device showed the live view from the camera, displayed in a YouTube window. There was virtually no lag in the video. It isn't the first time drones have streamed live video -- DJI's Phantom 3, announced in April, can record 4K video and stream it in near real time but it comes with a proprietary camera and costs US$1,000 or more. The Cubic Live will go on sale in July in Taiwan, with overseas sales still being planned. It will sell for around US$130.